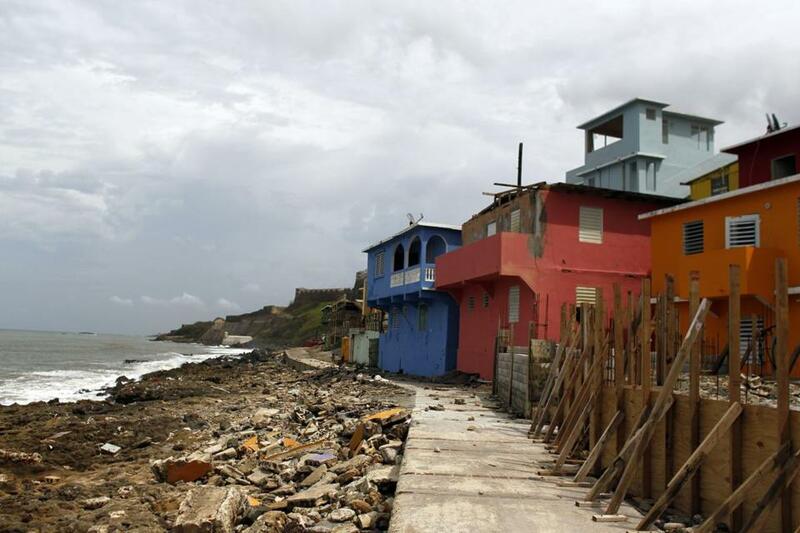 The neighborhood of La Perla looked desolate in the aftermath of Hurricane Maria in San Juan, Puerto Rico, on September 22. Hurricane Maria brought Puerto Rico to its knees, flooding and destroying streets and homes, leaving the entire island in the dark. Puerto Rican officials have confirmed at least six deaths, but local media have reported more. The cost of rebuilding will be enormous, and the vast challenges facing the American territory should push Congress and the federal government to loosen some of the restrictions that inhibit it. Puerto Rico was already dealing with an economic disaster. It is currently under the oversight of a fiscal control board, and declared bankruptcy earlier this year. The island had been experiencing an economic downturn for a decade, and now owes more than $120 billion in pension obligations and public debt. Puerto Ricans had already been leaving the island in record levels amid high unemployment; the hurricane will only make it more likely that a good portion of the remaining 3.4 million Puerto Ricans will leave. Clearly, the bankrupt island isn’t in a good position to borrow more in order to recover, so Washington must step up. President Trump promised to visit the island and has declared it a major disaster area, making federal funding available. Perhaps more critically, the fiscal control board will need to take a fresh look at its belt-tightening policies and determine whether they are still appropriate for an island reeling from a massive disaster . Meanwhile, Congress can take a meaningful step to help the recovery. For nearly a century, Puerto Rico’s economy has been hampered by the Jones Act, formally known as the Merchant Marine Act of 1920. It requires that any product transported by water between two or more contiguous domestic ports use a US-owned and US-built ship staffed with American crews. It costs more to build and operate US ships, but importers just pass that cost to consumers. It’s an anachronistic law that makes goods far more expensive in America’s island territories. Hawaiian lawmakers estimated that it costs about $800 to ship a 40-foot container from Los Angeles to Shanghai, while shipping the same container from LA to Honolulu costs $8,700. 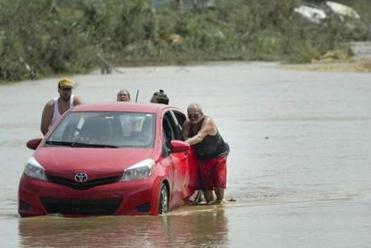 Puerto Rican officials rushed to evacuate tens of thousands of people downstream of a failing dam Friday. The Jones Act puts Puerto Rico (and the other territories and noncontiguous states) at a heavy competitive disadvantage, hampering both its imports and exports. According to a report by the Government Accountability Office, most of the cargo shipped between the United States and the Caribbean island is transported by four Jones Act carriers. This barrier to free trade, in the face of a disaster like Hurricane Maria, would unduly cripple Puerto Rico’s efforts to meet its residents’ immediate needs for fresh water, medicine, food, and other emergency supplies. In early September, the Trump administration temporarily waived the Jones Act, recognizing the threat of hurricanes Harvey and Irma. It subsequently extended the waiver once . A third temporary extension is expected. But as long since the Jones Act remains on the books, Puerto Rico will suffer slower economic growth and diminished prospects. Senator John McCain of Arizona introduced legislation this summer to repeal the law permanently. If ever there was a time to pass his bill, it’s now.